In a few weeks, 17-year-old Juliet will set aside her high school textbooks for a more advanced subject: motherhood. But the first-time parent won’t be alone, thanks to the Mother-Baby Program of archdiocesan Catholic Social Services (CSS). 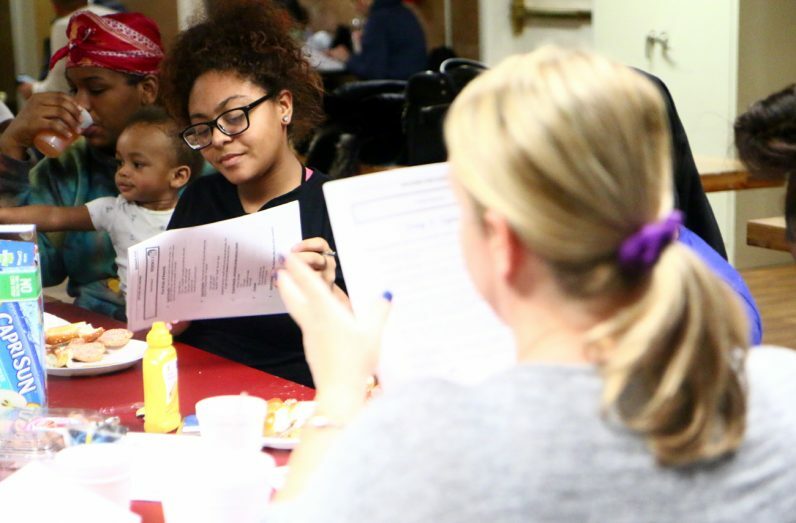 Located at St. Vincent’s Home in the Tacony section of Philadelphia, the initiative provides housing, prenatal support, parenting education and child care for adolescent mothers. After her delivery, Juliet plans to return to the group residence, which can house up to 12 young women for an indefinite stay ranging from a few weeks to more than a year, depending on the individual’s circumstances. The average length of stay last year was about five months, program administrators say. Each resident has a private room that she shares with her infant. The facility includes a common kitchen, dining room and recreational area, along with laundry facilities. A minimum of three staff members are on hand during the day, and two remain on site overnight. 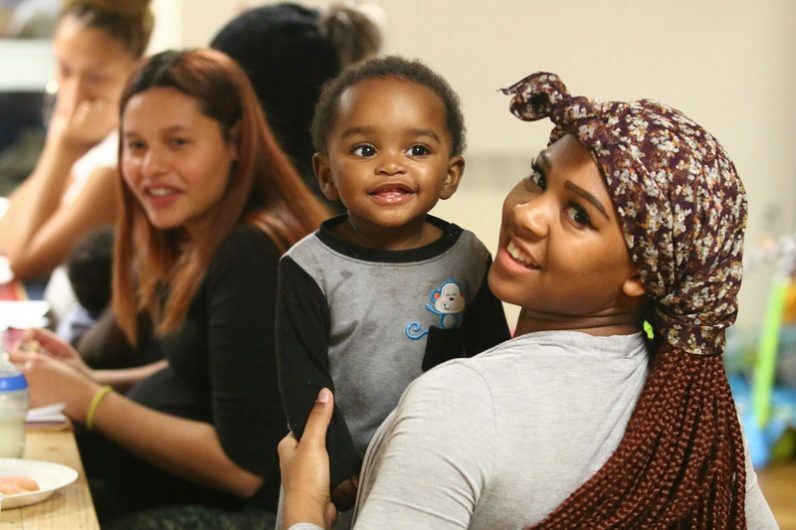 The Mother-Baby Program is part of CSS’s overall outreach to at-risk adolescent girls, who are referred by the City of Philadelphia’s Department of Human Services (DHS). 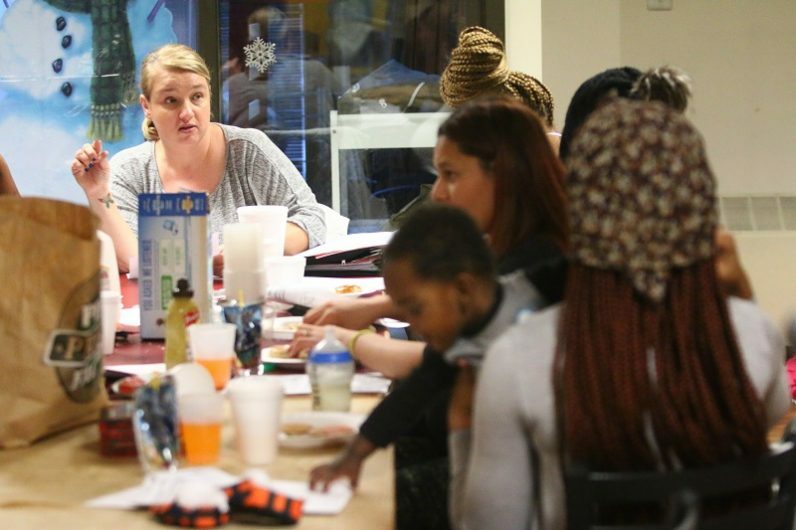 About 60 girls without safe living environments are placed each year in three community-based group residences run by St. Vincent’s — St. Joseph’s Hall with a capacity of 12 women, Guardian Angel with a capacity of 15 and the Tacony home, which houses 12. On any given day, up to 39 young women reside at the St. Vincent homes. DHS funds the programming supplied by St. Vincent’s Home. “St. Vincent’s is an example of how public-private partnerships benefit the community and those we serve,” said Heather Keafer, communications director for DHS, via email. Founded in 1855 with the help of both St. John Neumann and the family of St. Katharine Drexel, the home was originally an orphanage. Over time, its mission evolved, and many social service agencies now focus on keeping at-risk youth within their extended families and communities. In addition, teen pregnancies and birth rates have fallen to record lows since 1940, according to the Pew Research Center. Yet the home and its program continue to meet a vital need, according to James Logan, the administrator of CSS’s St. Francis-St. Joseph Homes, which oversees St. Vincent’s Home. The goal of the Mother-Baby Program is to ensure the health and, ultimately, the independence of the residents, according to Logan. Paula Scott, a CSS social worker, is the program’s pregnancy and parenting educator. Twice a week she offers classes at the home, mixing clinical experience with common sense and compassion. Scott also teaches at CSS’s Levittown and Bensalem Family Strengthening Centers, which — along with additional centers in Philadelphia, Montgomery, Delaware and Chester Counties — serve as the first point of contact for those seeking help from CSS. Miraca, who has been in the program for the past four months, credits the courses with enabling her to build a new life with her son, Zafir. Now in 11th grade, she plans to attend nursing school after high school graduation, and eventually to become a pediatrician.